Protect the front of your vehicle against unnecessary damage from oversized curbs and parking barriers with Rostra's 250-8104 universal front-view camera! 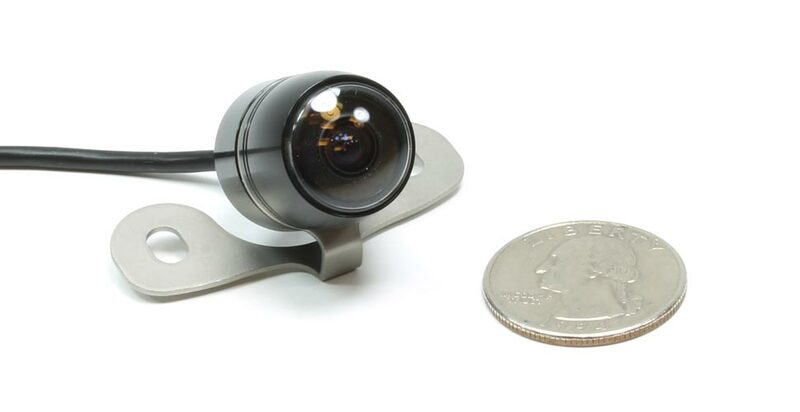 Now available for purchase, this tiny camera provides a sweeping 150-degree view of the area in front of your vehicle giving you peace-of-mind when parking or in bumper to bumper traffic. The single RCA video output can be connected to a number of different video display devices such Rostra's RearSight® rear view mirrors and even aftermarket Double-DIN radios *. 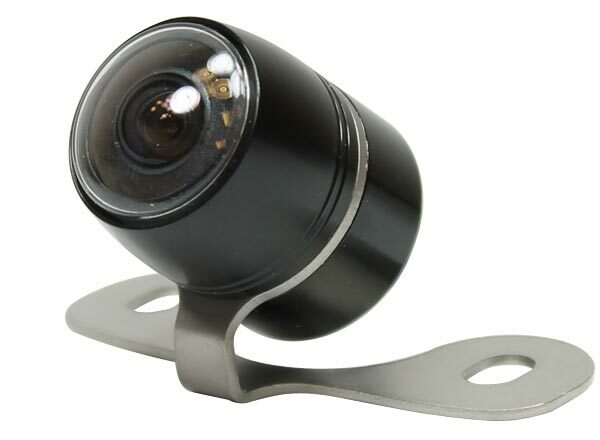 This camera's butterfly mounting base can be angled to conform to the front of any vehicle large or small to give the driver the best viewing angle of objects directly in front of the car. * Requires trigger source to power on video as needed. Please note, our front view camera is only sold through authorized distributors. Please contact Rostra to locate a distributor in your area for your front view or backup camera system needs.